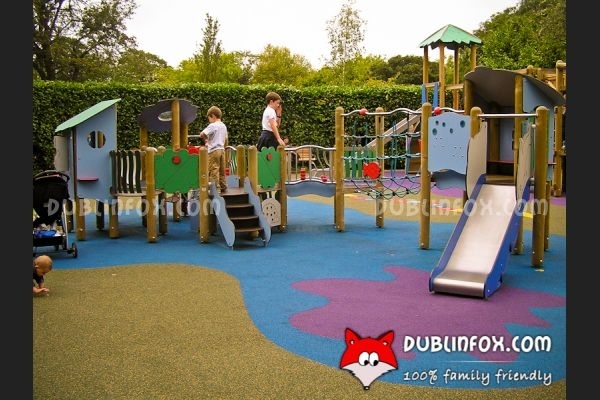 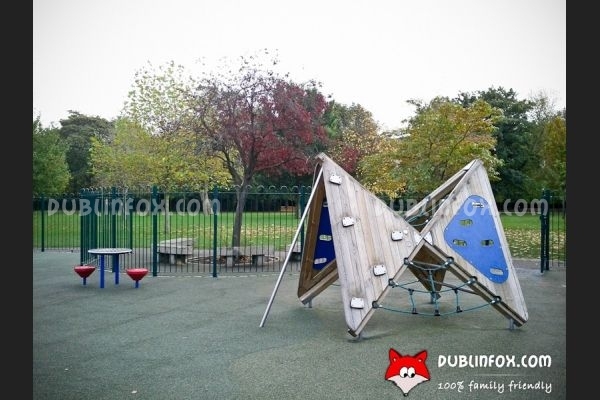 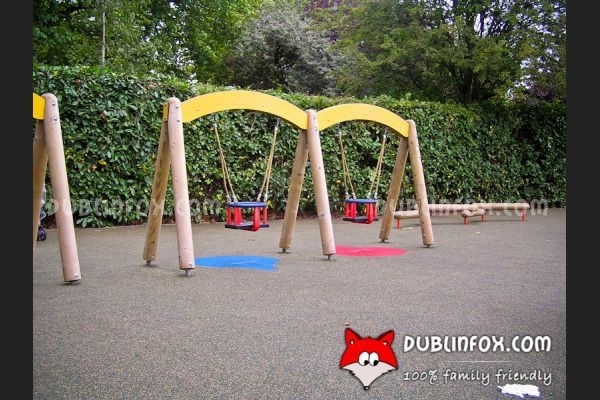 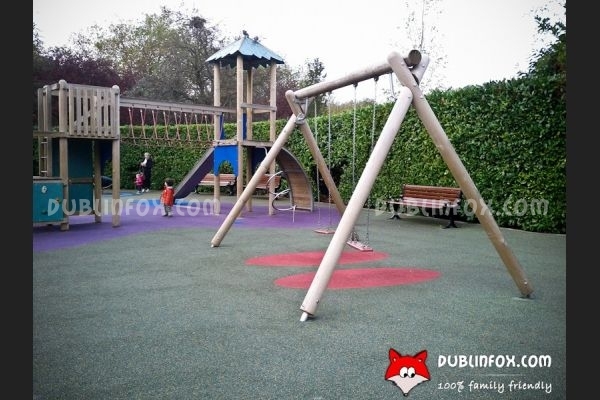 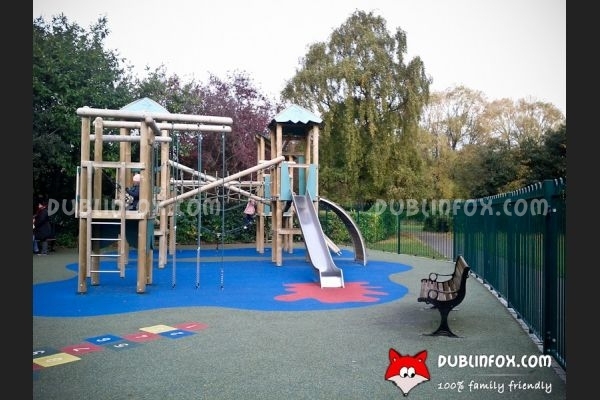 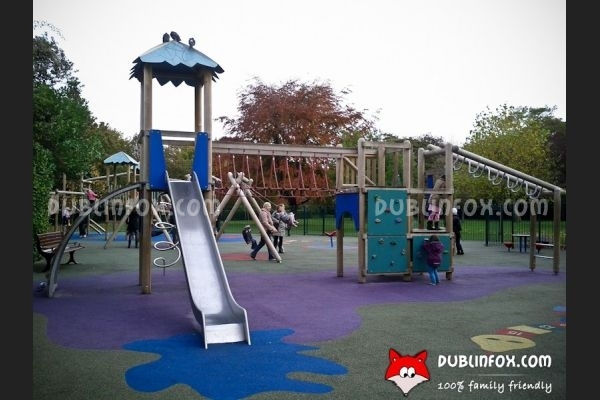 This newly refurbished (2010) playground in the highly popular St Stephen’s Green is only a few minutes' walk from the shopping centre and Grafton street, so no wonder that most of the time it is very crowded and usually there is a queue in front of the baby swings. 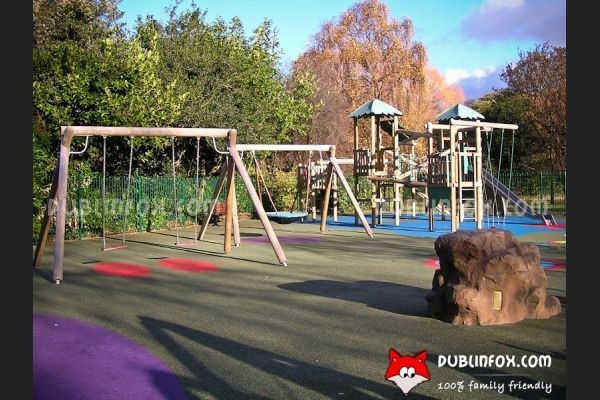 The junior and senior play areas are nicely separated, but be careful, because although the playground is fenced, the gate is usually open, so your toddler might waddle out to the park in the twinkling of an eye. 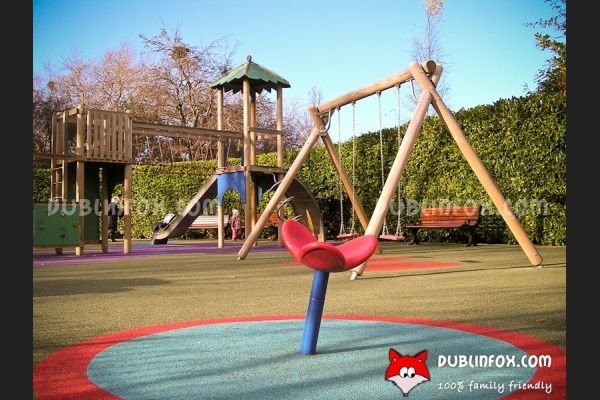 What my two-year-old misses from this playground is a proper slide that is suitable for him (the toddler slides are very short, while the other two are too high and dangerous, because of the open sides), but the balancing beam, the basket -, the roundabout -, and the spring swings usually compensate him. 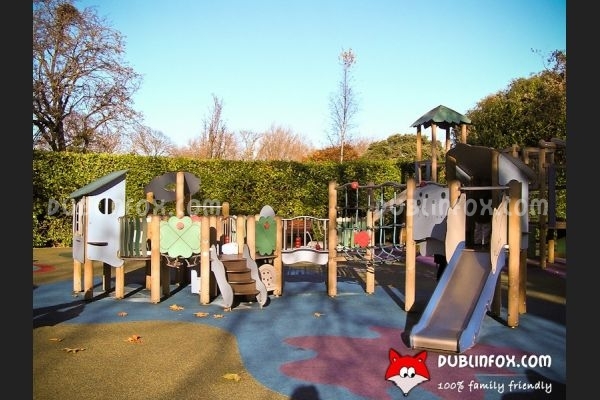 Visiting the playground might be followed by a pleasant walk in the park: the lake, the birds (swans, ducks, gulls, pigeons etc.) 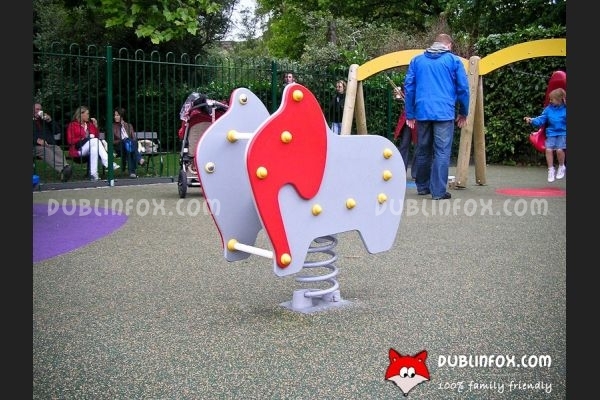 the fountains, the sculptures, the colourful flower beds and the horses next to the park are always big hits for smaller and older kids alike. 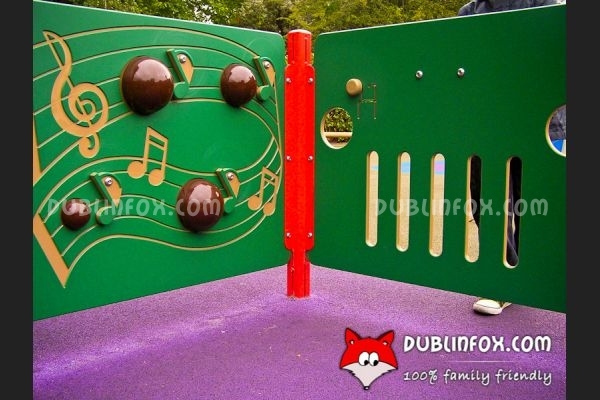 Summertime you might even bump into a free lunchtime concert! 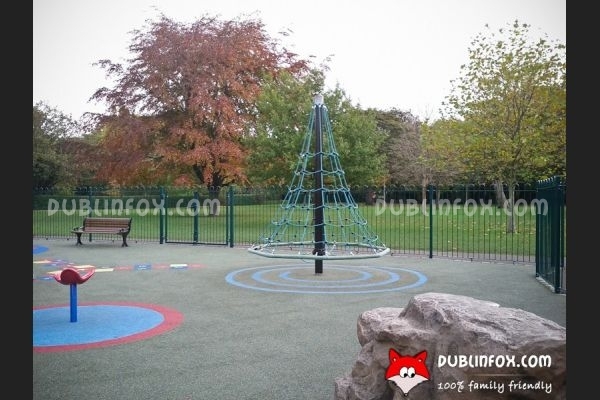 Click here to open St. Stephens Green's website in a new window.